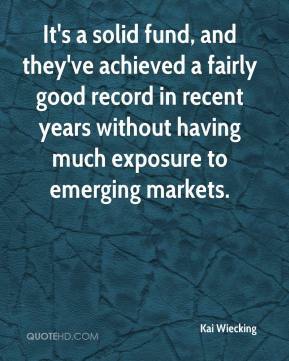 It's a solid fund, and they've achieved a fairly good record in recent years without having much exposure to emerging markets. 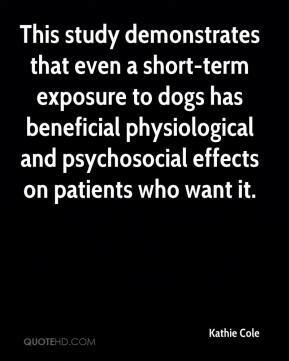 This study demonstrates that even a short-term exposure to dogs has beneficial physiological and psychosocial effects on patients who want it. 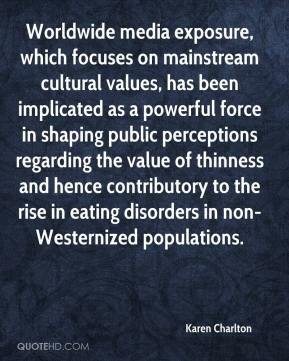 Worldwide media exposure, which focuses on mainstream cultural values, has been implicated as a powerful force in shaping public perceptions regarding the value of thinness and hence contributory to the rise in eating disorders in non-Westernized populations. This is another opportunity for people to disclose STD exposure to partners because sometimes people don't always have that face-to-face opportunity, or that level of relationship. 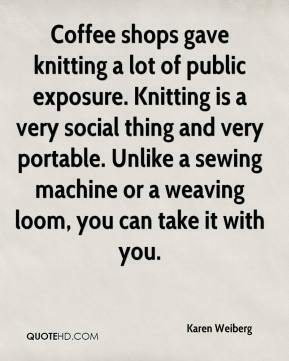 Coffee shops gave knitting a lot of public exposure. Knitting is a very social thing and very portable. Unlike a sewing machine or a weaving loom, you can take it with you. 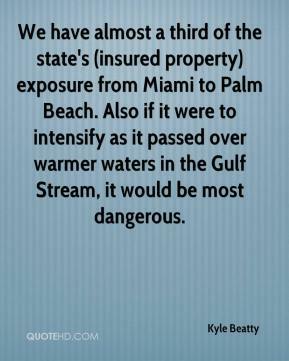 We have almost a third of the state's (insured property) exposure from Miami to Palm Beach. Also if it were to intensify as it passed over warmer waters in the Gulf Stream, it would be most dangerous. 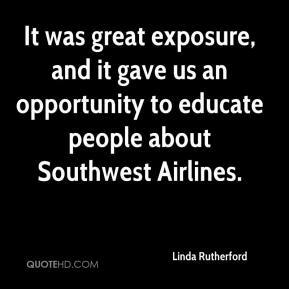 It was great exposure, and it gave us an opportunity to educate people about Southwest Airlines. 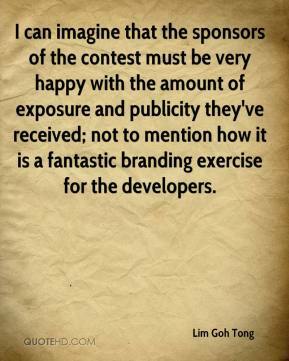 I can imagine that the sponsors of the contest must be very happy with the amount of exposure and publicity they've received; not to mention how it is a fantastic branding exercise for the developers. 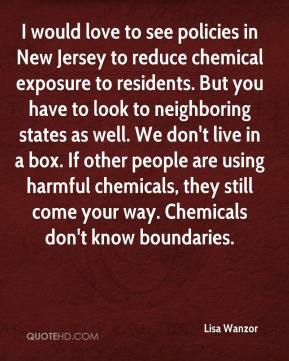 I would love to see policies in New Jersey to reduce chemical exposure to residents. But you have to look to neighboring states as well. We don't live in a box. If other people are using harmful chemicals, they still come your way. Chemicals don't know boundaries. 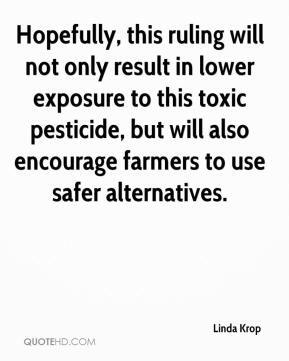 Hopefully, this ruling will not only result in lower exposure to this toxic pesticide, but will also encourage farmers to use safer alternatives. 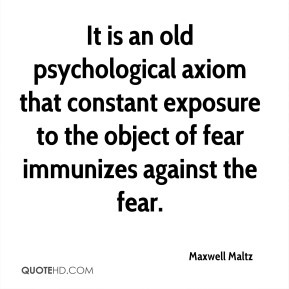 In terms of human health, the predominant risk is poultry because that is where there is significant exposure to the human population. 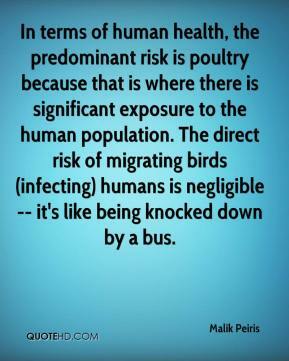 The direct risk of migrating birds (infecting) humans is negligible -- it's like being knocked down by a bus. 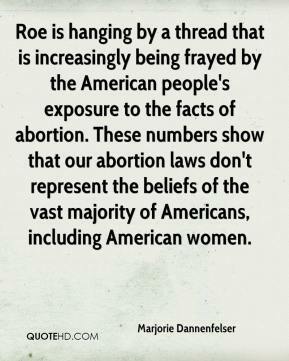 Roe is hanging by a thread that is increasingly being frayed by the American people's exposure to the facts of abortion. These numbers show that our abortion laws don't represent the beliefs of the vast majority of Americans, including American women. 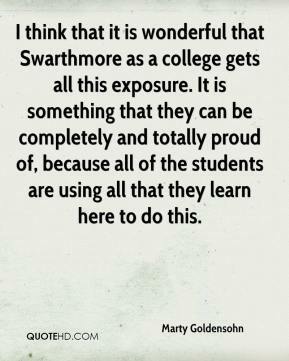 I think that it is wonderful that Swarthmore as a college gets all this exposure. It is something that they can be completely and totally proud of, because all of the students are using all that they learn here to do this. 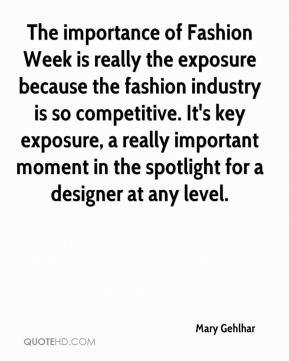 The importance of Fashion Week is really the exposure because the fashion industry is so competitive. It's key exposure, a really important moment in the spotlight for a designer at any level. 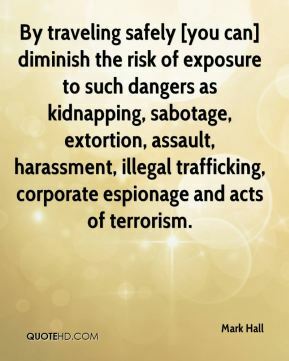 By traveling safely [you can] diminish the risk of exposure to such dangers as kidnapping, sabotage, extortion, assault, harassment, illegal trafficking, corporate espionage and acts of terrorism. 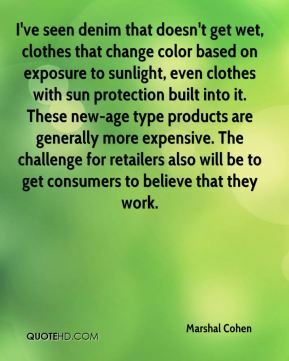 I've seen denim that doesn't get wet, clothes that change color based on exposure to sunlight, even clothes with sun protection built into it. These new-age type products are generally more expensive. The challenge for retailers also will be to get consumers to believe that they work. It adds a layer of knowledge and exposure to the school's general education that a lot of schools don't have. 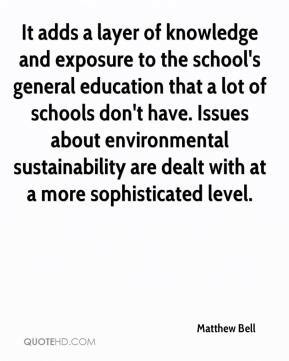 Issues about environmental sustainability are dealt with at a more sophisticated level. 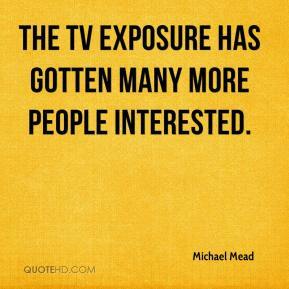 The TV exposure has gotten many more people interested. The authors admit that their studies did not address genetic sensitivity to mercury and neurological problems arising from exposure that may occur over time. 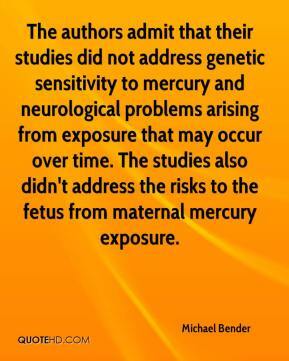 The studies also didn't address the risks to the fetus from maternal mercury exposure. I?m living proof that toxic gas was not dropped on us that day. 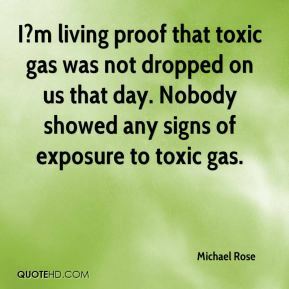 Nobody showed any signs of exposure to toxic gas. 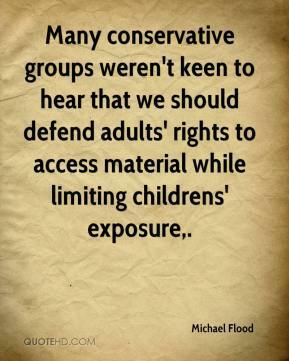 Many conservative groups weren't keen to hear that we should defend adults' rights to access material while limiting childrens' exposure. 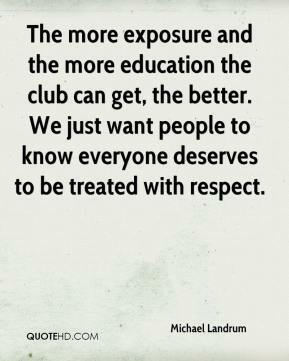 The more exposure and the more education the club can get, the better. We just want people to know everyone deserves to be treated with respect. Investors are looking for exposure to commodities on the upside. 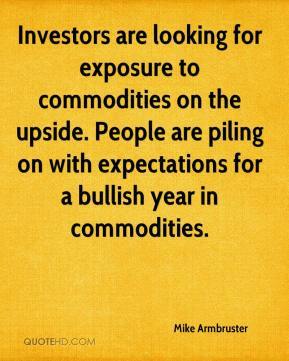 People are piling on with expectations for a bullish year in commodities. 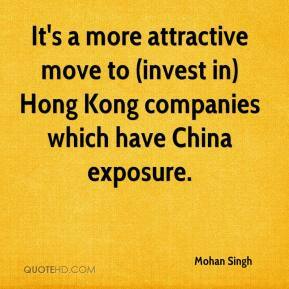 It's a more attractive move to (invest in) Hong Kong companies which have China exposure.